The Outpost accommodates 24 guests in 12 open plan, en-suite luxury spaces cantilevered on a hill overlooking the Luvuvhu River. The private, free standing spaces are inter-connected to each other and the central lodge area by 500 metres of Zimbabwean teak walkway. Contemporary architecture makes use of concrete and steel with state-of the-art retractable, remote-controlled screens offering 180º of uninterrupted views. FUNCTIONS | Unforgettable weddings & special events. 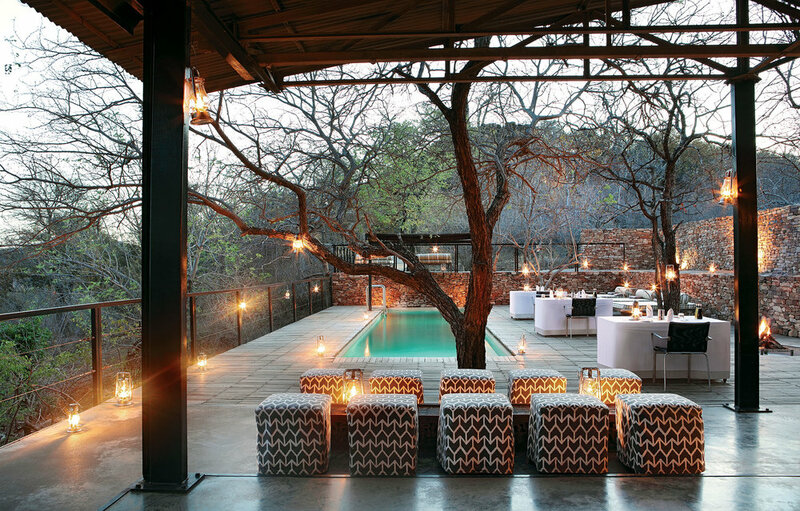 Book your stay and explore the remote beauty of the Northern Kruger National Park.